Climate change is killing our trees. This is an unfortunate irony, because we rely on living trees to remove and store carbon dioxide from the atmosphere. Dead trees do the opposite - their decomposition releases carbon dioxide into the atmosphere. Carbon dioxide is the greenhouse gas primarily responsible for global climate change. This tree data comes from a study published recently in the prestigious journal Science. The authors examined records of tree deaths from 76 plots of healthy old-growth temperate forests in the western U.S. and Canada, ranging from British Columbia to Arizona. The scientists reported that trees are falling twice as fast as they were 50 years ago. The study included only trees that died for "noncatastrophic" reasons. That is, they were not victims of wildfires or huge outbreaks of pine beetles, but were routine deaths. Overall, more than 58,000 trees were monitored for the study. The number of routine deaths were relatively small, said co-author Mark Harmon of Oregon State University in Corvallis, but "a lot of little numbers can add up to a big number." If this trend continues, forests of the future may be composed of younger and thinner trees that store less carbon than the larger trees of today. Such an effect, in addition to increased decomposition, would speed the rate of global warming. The scientists concluded that the deaths were not due to air pollution such as ozone because many of the trees were in national forests with relatively clean air. The more likely explanation, they wrote, is that the deaths are occurring as a result of climate change. Warming temperatures have changed water dynamics in the West, with more precipitation falling as rain than snow, with earlier snow melts and longer droughts. Trees are getting less water. Also, climate change is giving a boost to tree pathogens that prosper in warmer temperatures. Scientists in tropical forests have not found the same effect. In the tropics, the growth of new trees is keeping pace with the death of old ones. Author Simon Lewis of Leeds University concluded that "systemic long-term monitoring of forests is essential as a warning system to potentially more dramatic changes." Yes, monitoring could be useful. In addition to that, we can all try to reduce our own carbon production: by eating fewer animal products (see "Livestock and Climate Change" by Worldwatch Institute), by driving less, carpooling, driving fuel-efficient cars, building passive-solar homes, and in general burning fewer fossil fuels. Take the Environmental Footprint quiz and see how to reduce your own carbon footprint. We all have to participate, if we are to reduce global climate change during the short window of opportunity we have over the next few years. 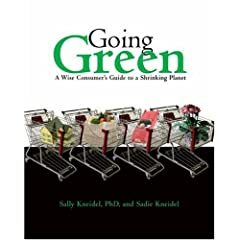 For more practical suggestions about how to reduce your carbon footprint, see our book Going Green: A Wise Consumer's Guide to a Shrinking Planet. 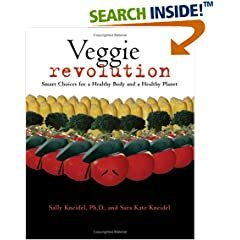 The book offers strategies regarding diet, housing, transportation, clothing, and other consumer choices that we all make every day. Phillip J. Van Mantgem et al. 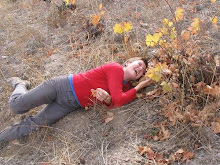 "Widespread Increase of Tree Mortality Rates in the Western United States." Science 23. January 2009. Sally Kneidel, PhD, and Sadie Kneidel. Going Green: A Wise Consumer's Guide to a Shrinking Planet: Fulcrum Publishing. 2008. Livestock account for 51% of annual global climate change. Irvine CA schools go solar; most comprehensive solar school plan in the U.S.